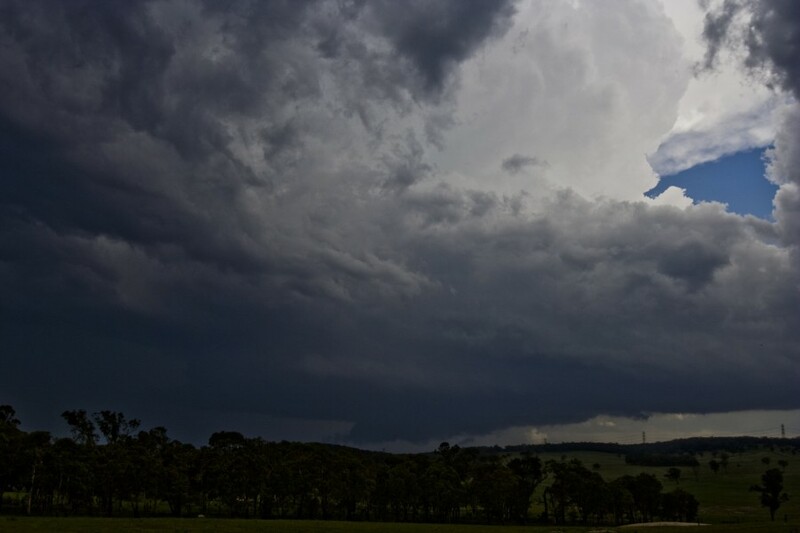 January 10th 2010 produced very deep convection and severe storms particularly in the lower Hunter Valley. Initially pulse storms developed over the mountains moving generally north. One storm near Putty exploded with the anvil repositioning at another equilibrium level. 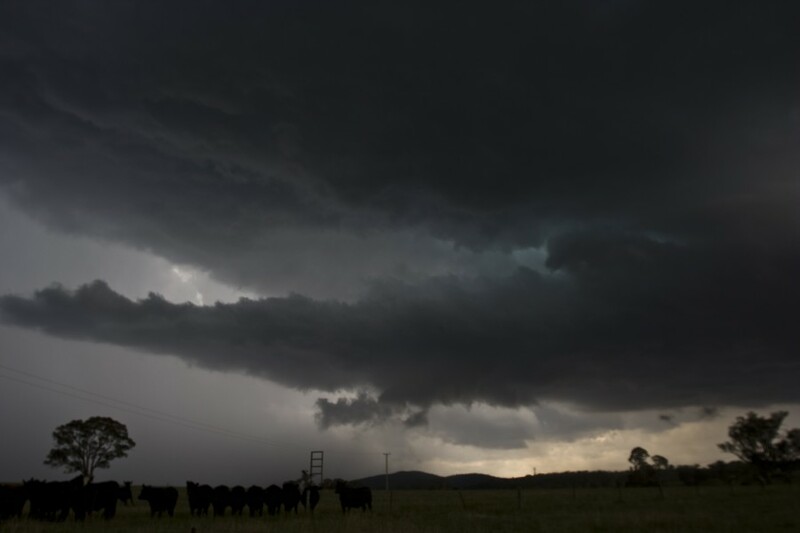 The outflow from this storm conbined with a moist easterly eairstream to form an explosive severe storm near Jerrys Plains. 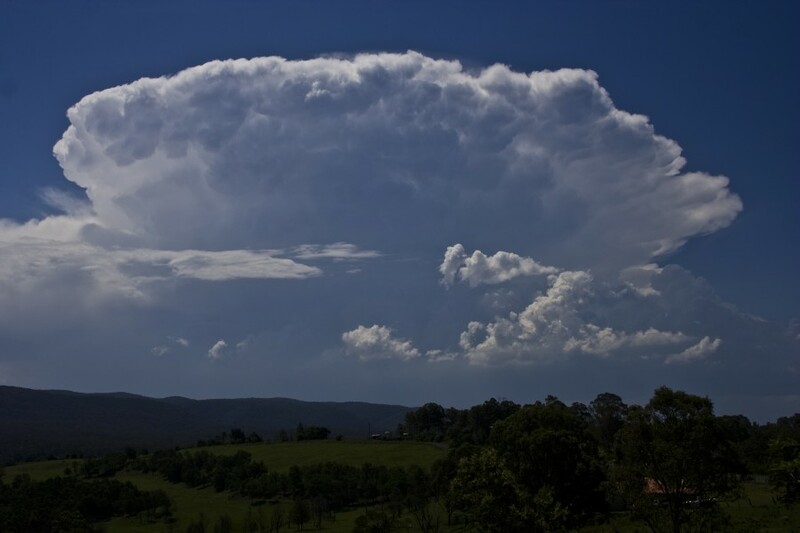 The boiling updrafts looked like a volcanic explosion from as far as Sydney. 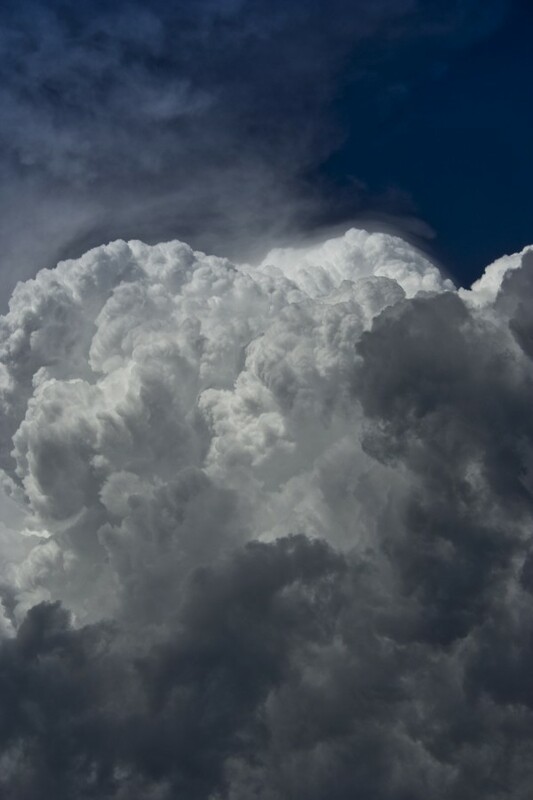 Despite the relatively warm atmosphere, the steep lapse rates and the shear heights of the storm tops allowed for large hailstones to be spawned by these storms. January 2010 provided some very impressive storm events - including one of the most significant storm episode in years - 27th to 28th January 2010. 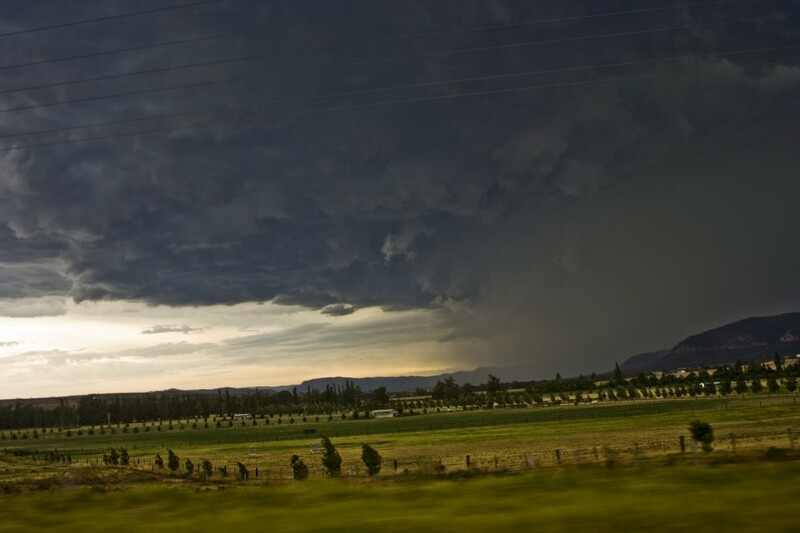 On the 27th January 2010, an outbreak of supercells organised along a dryline on the western part of the Central Tablelands. As it moved east into moist unstable atmosphere, the storms quickly became severe forming a line of significant supercells. 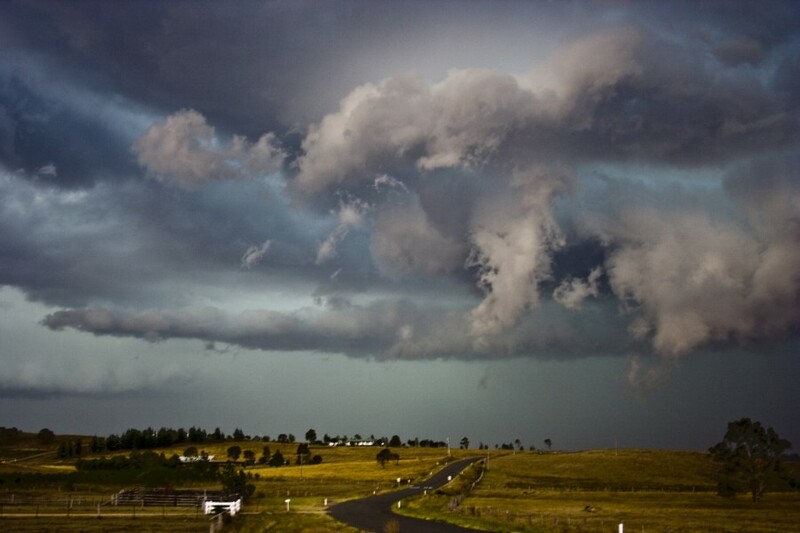 Several of these supercells produced hook echos, likely an event never observed on Australian radar. One of these storms exhibiting a hook echo developed northwest of Lithgow producing a split pair. 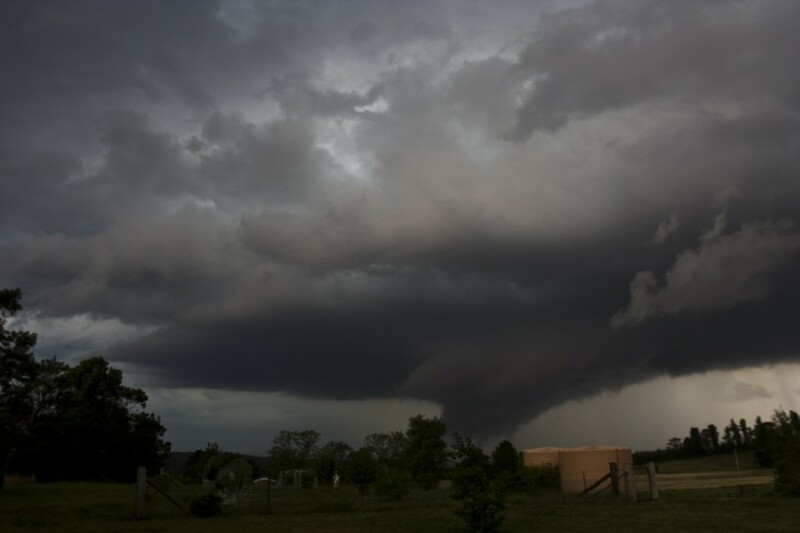 The left mover intercepted and documented by Jimmy Deguara produced a well defined wall cloud. 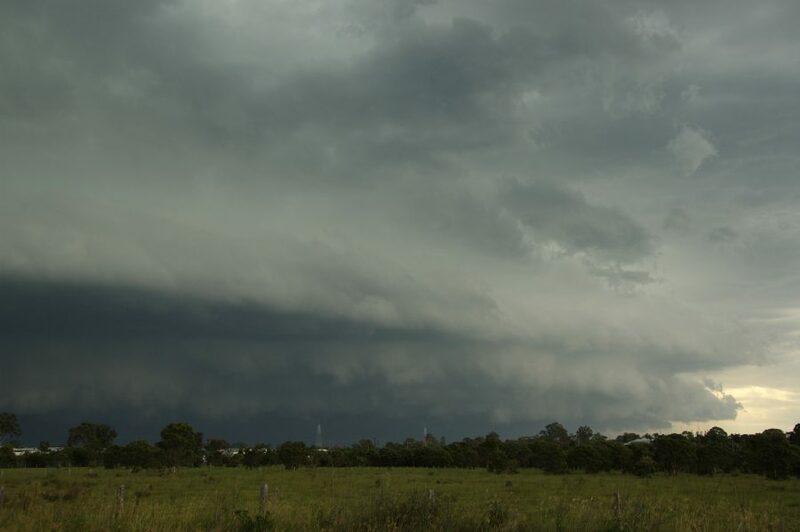 The storm remained well structured until its inflow was contaminated by another possible supercell to its immediate north. 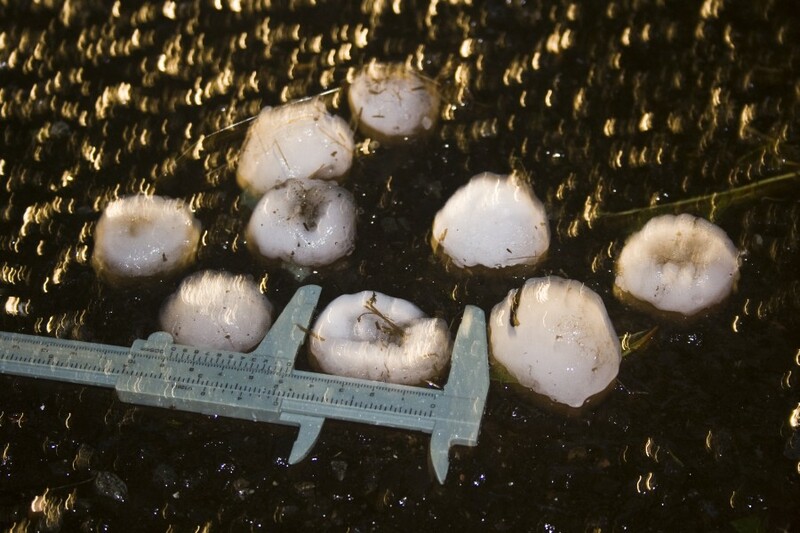 Evidence of very large hailstones from stripped leaves and smashed car windows in the region near the Cullen Bullen to Portland area may also have been attributed to the storm. 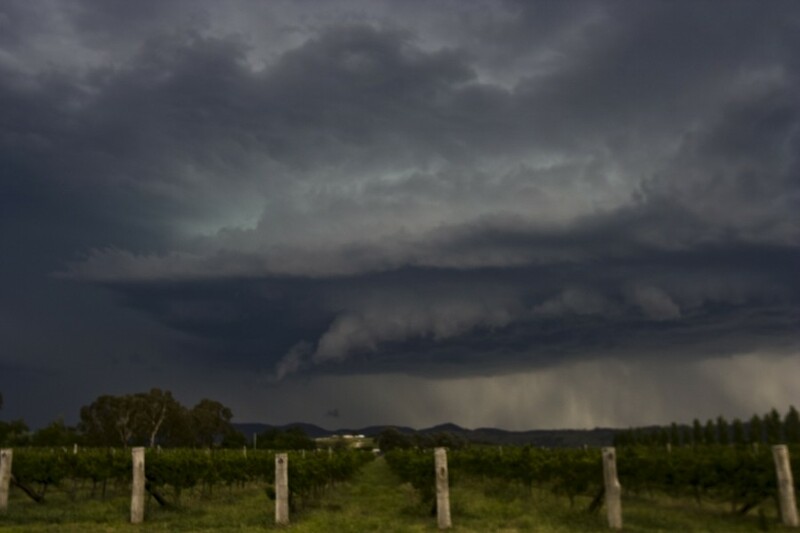 This storm merged with a complex of supercells that tracked as a HP supercell complex on a direct course for Merriwa later that evening causing hail damage. 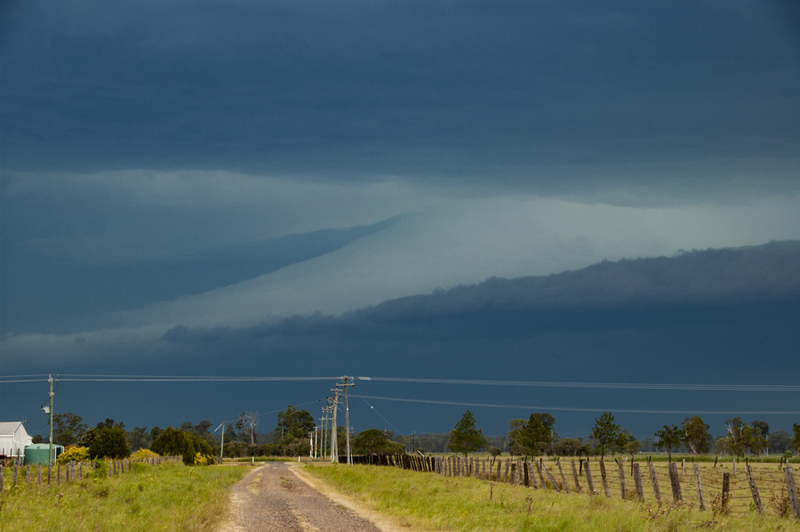 This was another severe storm that passed near Mudgee. Photographs by Michael Bath The last week of January 2010 provided two days of storm chasing opportunities in an otherwise poor summer storm season in Northeast NSW. 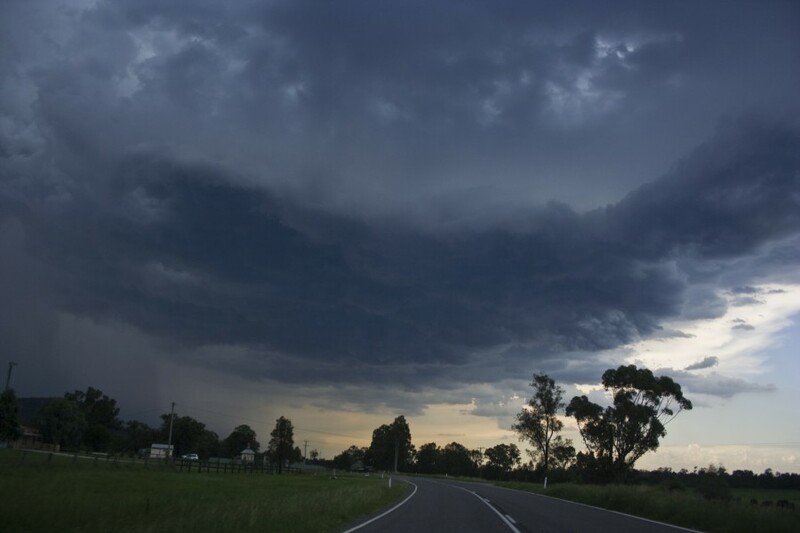 A weak southerly change moving up the Far North Coast on the 27th triggered a number of severe thunderstorms in a highly unstable atmosphere. 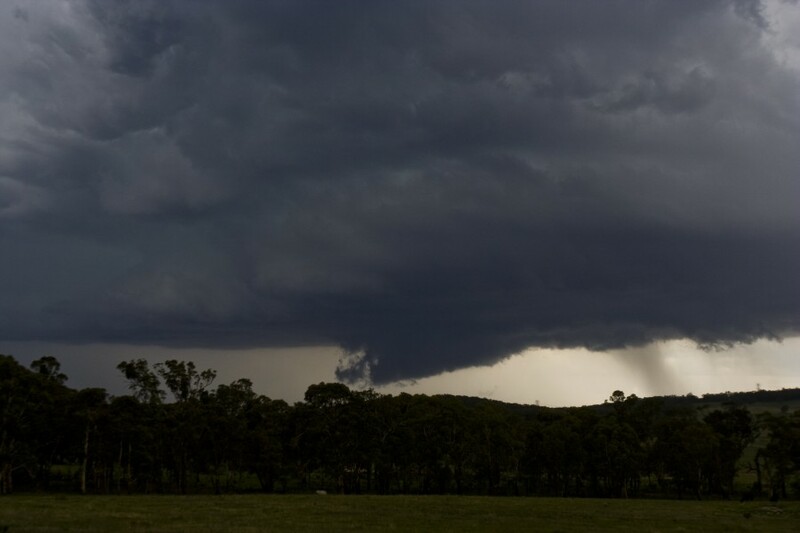 The main event formed in the usual hotspot between Dorrigo and Glen Innes and tracked generally NNE. The storm evolved into an HP supercell just south of Casino. The timing of its peak was unfortunate for residents in the region with extensive wind related damage reports. The estimated clean-up bill has already topped $5 million. 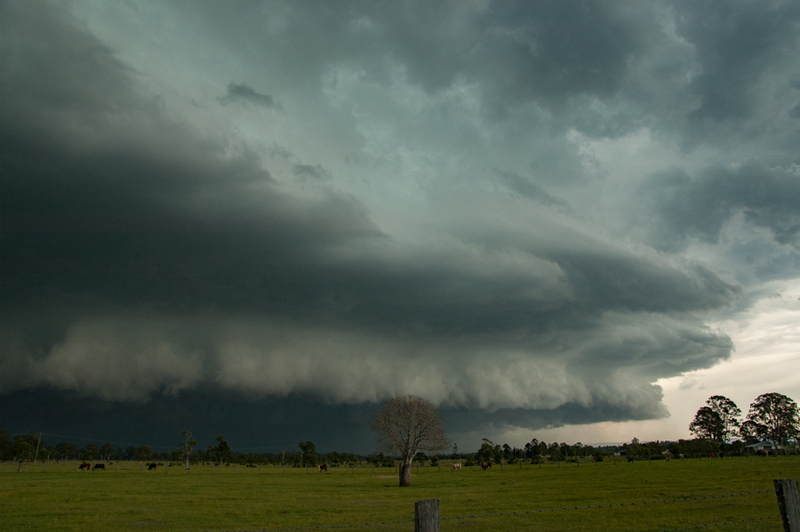 Visually the storm was spectacular with a powerful leading structure. 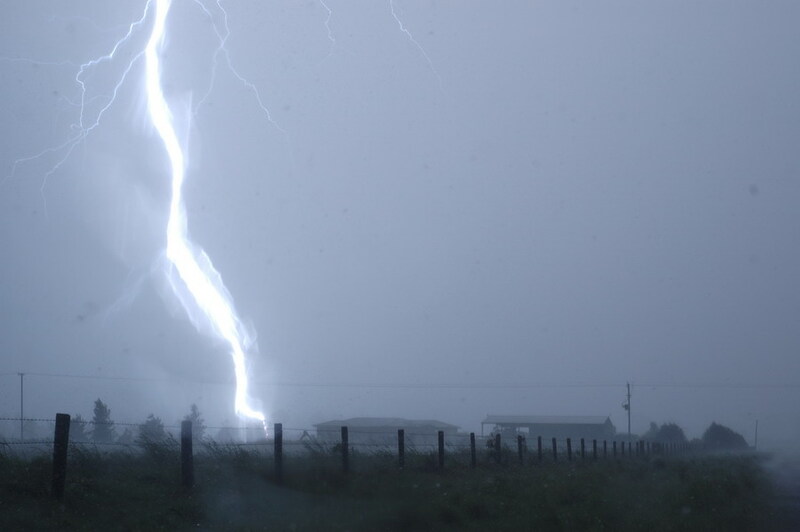 CG lightning was very frequent. 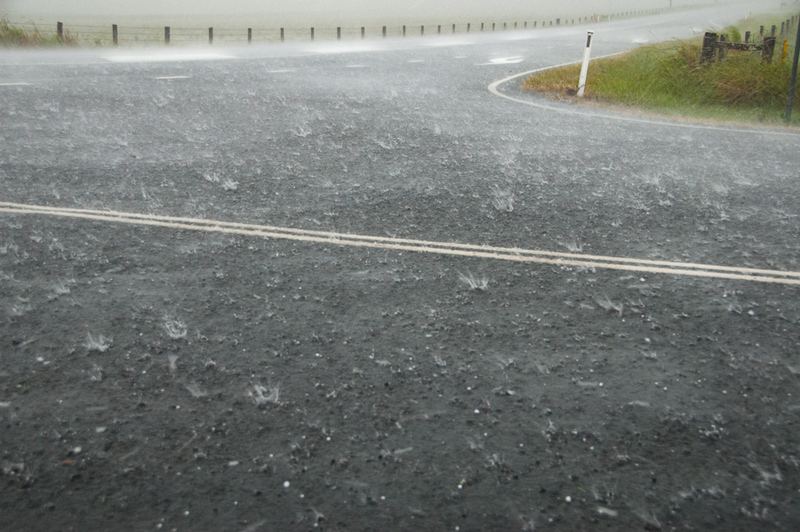 The storm produced copious amounts of rain - over 60mm in 30 minutes, winds in the 120-130km/h range and hailstones up to 4cm diameter. The next day more severe storms occurred in the same location but into the evening rather than mid afternoon. The lightning show was impressive. 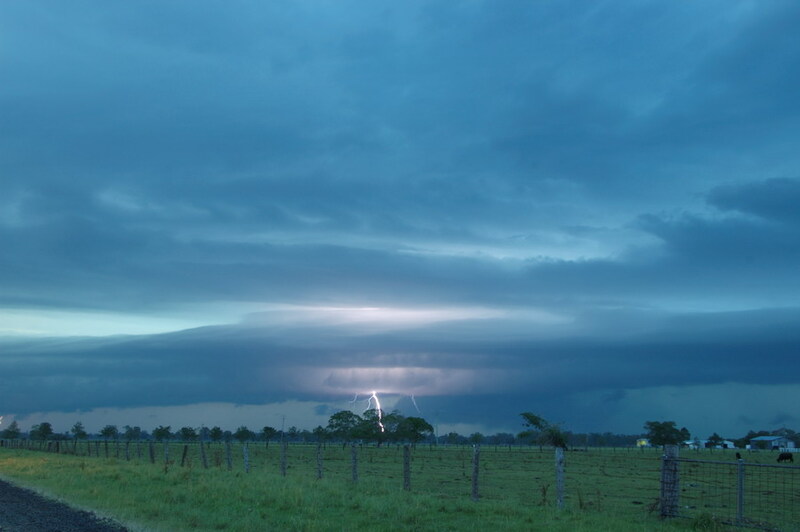 Several thunderstorms including one particularly severe thunderstorm - a supercell were intercepted on the 21st December 2009. 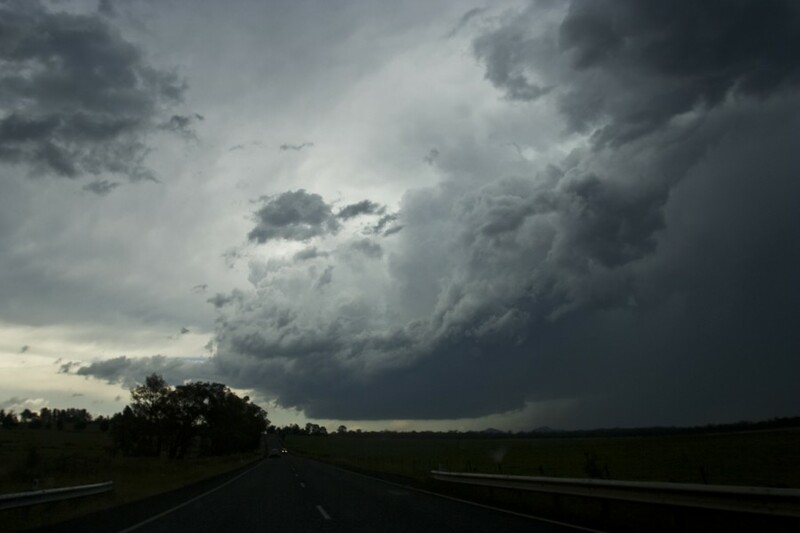 Storms intensified generally during the afternoon period with a severe storm exhibiting strong updrafts approaching near Richmond. 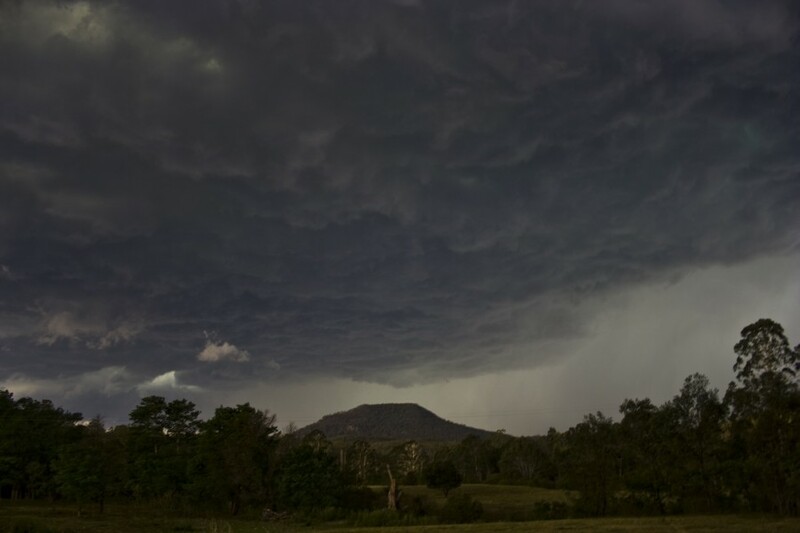 However, a persistent storm over Colo Heights gradually began to dominate and exploded into a supercell tracking north along a boundary almost tracking the Putty Road. 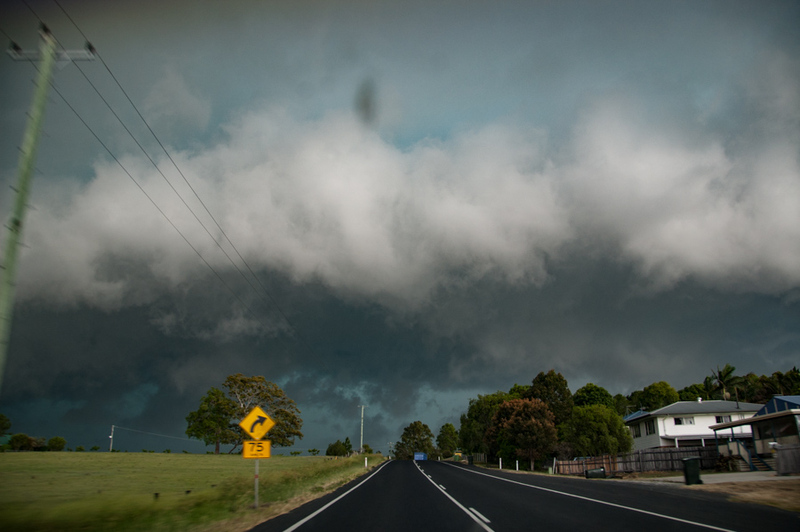 It made a direct hit on Singleton causing extensive wind and hail damage with hailstone diameters measured up to 5cm. 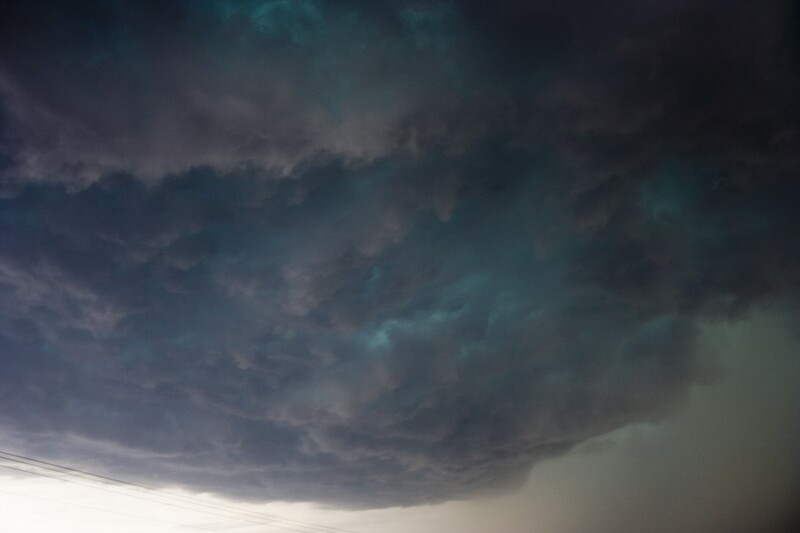 Although the storm remained outflow dominant, the outflow from the south did not interfer with the inflow from the east and therefore was able to remain intense and long lived spanning several hours. 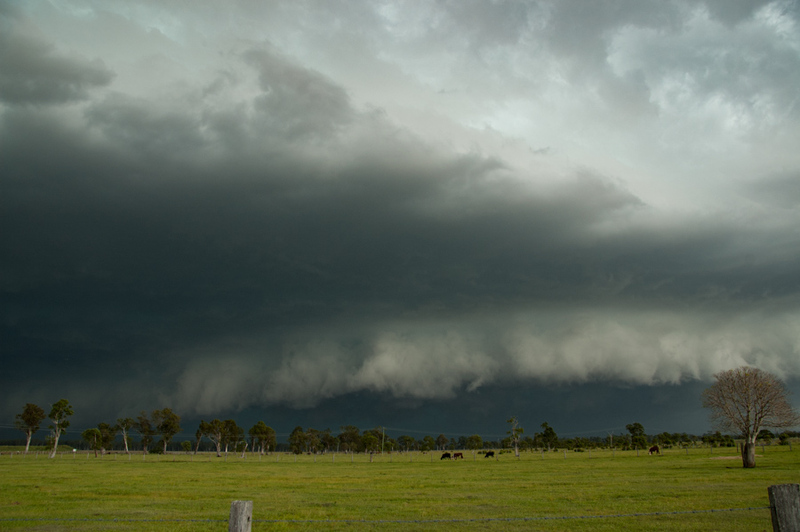 One feature of this storm was its large and persistent base and green to brownish tinge colouration. 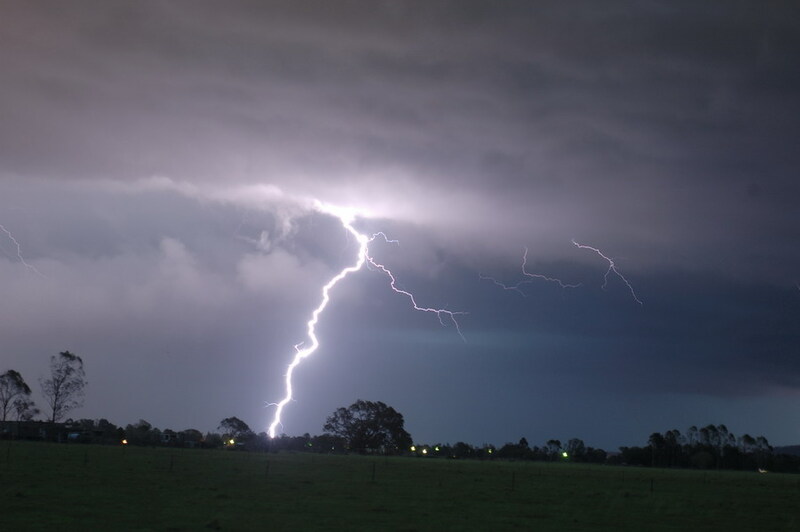 Lightning activity was at times rather frequent. 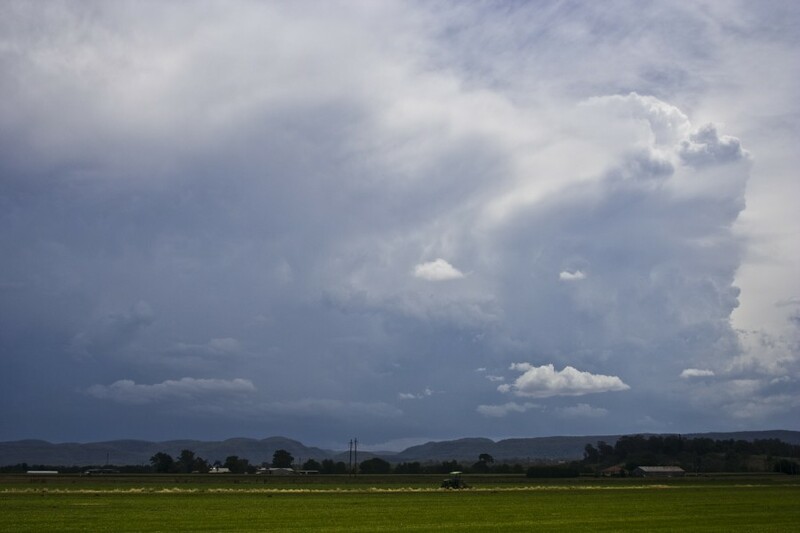 The anvil shield extended well into the Hunter Valley and off the coast to the east.